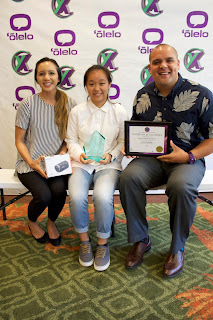 The Olelo Youth Xchange is Hawai'i's largest student video competition, this year boasting over 900 entries in 16 different general and sponsored categories. 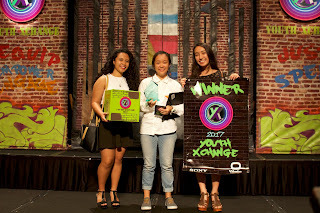 Sacred Hearts Academy's Jenelle Ho, '18, won the "Mini Documentary" category for her video "Taste the Waste" on how local businesses recycle food waste. Meanwhile, Celine Arnobit, '18, and Academy seniors Ashley Lardizabal, '17, and Kailani Ablog, '17, were finalists in the "News" category for their story "Encouraging Conservation Among Hawai'i's Youth," on the IUCN News Congress. Mahalo nui loa to Olelo, we are so grateful for the Youth Xchange competition which provides our students and students around the state the opportunity to share their voice through media!